Uganda Cranes left back Alex Kakuba is now a free agent after his contract with Greek side PAS Giannina was terminated by mutual consent. “The PAE PASGIANNINA 1966 announces the end of co-operation, with mutual consent, with footballer Alex Kakuba, read a statement bon the Greek Club official website. 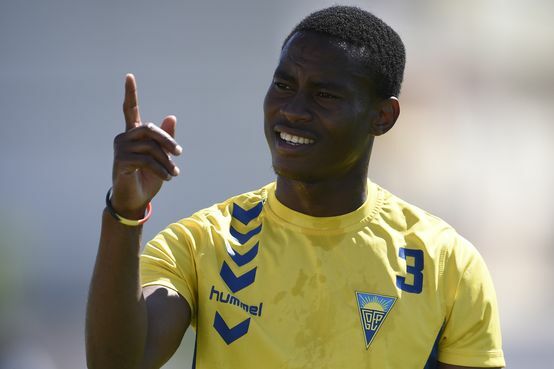 Kakuba joined Giannina on a two year deal in the summer from Portuguese club Estoril. After a frustrating stay in Greece that has seen the former Proline FC defender feature only 5 times in the Greek Super League, both parties decided to part ways, something Kakuba also acknowledges. “It is true I left Panepirotikos Athlitikos Syllogos Giannina Football Club, said Kakuba. “I will continue to train as I wait for the January 2019 transfer window. “Apparently, I am weighing any options on the table. The left-back feature for Proline for two years since 2010 before he was loaned to Portuguese side Recreio Desportivo de Águeda. He was later transferred to Clube de Futebol Esperança de Lagos at the start of the 2012/13 season. He spent only a season at Lagos, then moved to another Portuguese side, Sporting Clube da Covilhã with who he also lasted one year. From there he signed a four year deal at Grupo Desportivo Estoril Praia. After two years, he was loaned to Clube Desportivo Feirense where he spent as many years. On return to Estoril, he was signed by PAS Giannina where he has been since July.